Ella's Story, the Duchess Who Became A Saint, brings to life the amazing journey of Princess Elizabeth, from privileged childhood to eventual martyrdom. While her biography, as St. Elizabeth the New Martyr, is available to adults, this is the first such book for girls, written in an approachable appealing style. 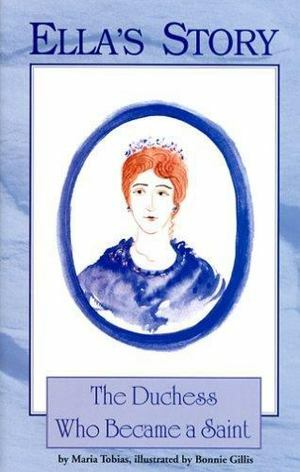 Maria Tobias tells the Princess' story in such a lively way that the book is hard to put down. A true role model for today--Elizabeth, a real princess, is gifted with all those qualities girls still seek (intelligence, beauty, wealth, renown), converts to Orthodoxy and subsequently sheds all of this for the greater prize of the martyr's crown.